The mission of the Natural History Family of Museums is to inspire wonder, discovery, and responsibility for our natural and cultural worlds. Located in the heart of metropolitan Los Angeles, the La Brea Tar Pits are one of the world’s most famous fossil localities. 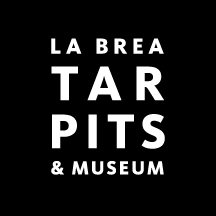 The newly named La Brea Tar Pits Museum (located in the George C. Page Museum building) displays Ice Age fossils — including saber-toothed cats, dire wolves and mammoths — from 10,000 to 40,000-year-old asphalt deposits. Visitors can also watch the processes of paleontology unfold. Every day inside the glass-enclosed Fossil Lab, scientists and volunteers prepare fossils.